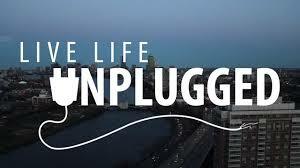 One of my latest “bug bears” is the proliferation of people being plugged in. It seems to be at the detriment of their being connected to all that is going on around them. Many of you who know me also know that I love to run. I am becoming part of a dwindling minority of runners who are not plugged in or have their devices along for every step. I enjoy greeting people as I run past them and now see very few folks that even hear my greeting, let alone acknowledge it. I also see more people looking at their devices while trying to walk and this usually leads to disastrous consequences. A recent example at the airport in San Francisco highlighted this. One person with ear buds firmly rooted, device in left hand, steaming coffee in right hand bumps into another person toting luggage and yells “idiot” at him after impact. Those are the times when I wish there was video replay so that it could reveal, as I’m sure it would have in this case, that the idiot in question was not the bumper, but the “bumpee”. He had no idea that he was veering but could tell you what song he was listening to and who he was talking to at the time. Martin Luther King once commented, “We have guided missiles and misguided men.” In today’s world I might paraphrase that to “We have connected devices and disconnected people”. I believe that folks communicate more but talk less. If collaboration and cooperation are two of the essential skills educators believe students will need to make successful transitions, we’ll need to provide authentic opportunities for that to occur. It amazes me how much time two students can spend online with each other and yet still feel awkward when needing to work and talk together in class. I embrace all that today’s technologies have to offer and love how much of the world of education and educators has been opened up to me. I also know how much I enjoy being dis-connected and away from that same world. So next time you’re out for a walk and a runner zips past, pull out the ear buds and say “Hi”. It will do a world of good for both of us. Interesting comment, Tom. My sentiments exactly. In fact, I see the same thing in my own family. No one calls, everyone just posts “a fact”, an “opinion”, an image, to the world at large or so-called “friends” and considers themselves to have communicated. A telephone seems to be only for leaving further “voice mails” which may or may not be answered in time for the call’s purpose to be effectively met. It’s a one-way world. Why should anyone greet you on your runs? They are in their own heads. Sure beats having to make eye contact. awkward? yes. catch word of the day. No one needs to know how you are doing. If you wanted them to know you would have posted it, right? Silence is golden… or is it? 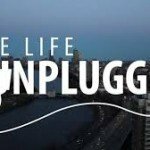 Thanks for the like-minded blog, and here’s to unpluggedness. How are you doing, by the way?